Mobile applications show huge promise, and businesses are jumping at the mobile channel’s ability to connect with customers in more strategic and personal ways. But before developing mobile campaigns, many companies fail to develop a strategic plan for their mobile marketing channel. With unclear objectives, no key performance indicators, and lacking tools to assess and optimize, proving return on investment becomes nearly impossible. 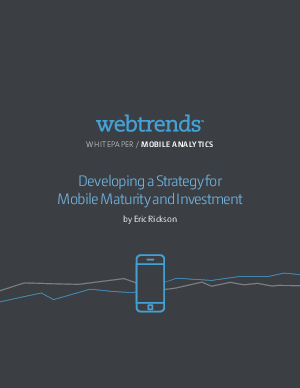 By isolating what matters to your company and by studying data that tracks individual mobile customer usage, behavior and patterns, you can develop a compelling mobile channel that produces measurable returns on investment.